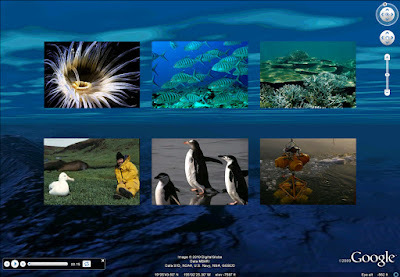 Have you ever dreamed of being a marine scientist? With today's release of a Google Earth tour by the Pew Environment Group to introduce the 2010 Pew Fellows in Marine Conservation, you can put on your virtual scuba gear and join them in the underwater ecosystems, coral reefs, and shores around the world. 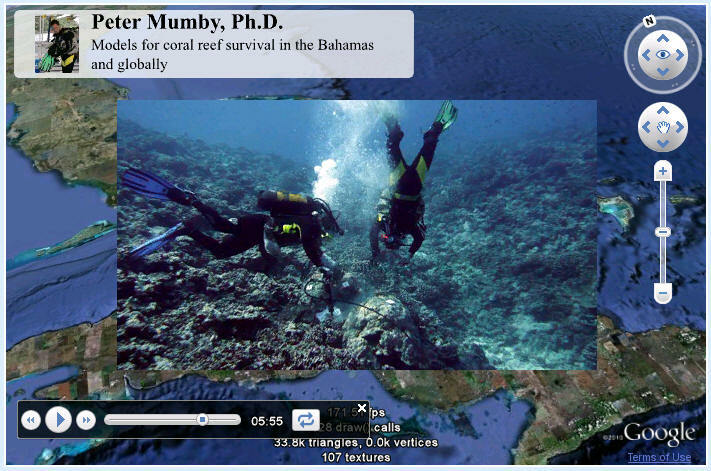 Narrated by actress and philanthropist Isabella Rossellini, the Google Earth tour introduces you to the work of the new Pew Marine Fellows: Daniel J. Conley, Omar Defeo, Beth Fulton, Peter Mumby, and Ben Sullivan. The prestigious fellowship is awarded each year to five outstanding global leaders or teams for working tirelessly to preserve and protect the world’s oceans and marine species. For the next three years, these marine scientists will work on their original, research-based marine conservation project. Each Pew Marine Fellow will communicate his or her results widely, so check back for more information about the program and the fellows at www.pewmarinefellows.org, or you can learn more about the fellows now by viewing the Google Earth tour on the 2010 Pew Marine Fellows website today!